The hype surrounding next month’s Floyd Mayweather-Conor McGregor “Super-Fight” is considerable, huge even, and seemingly everyone has an opinion on what will happen when the two superstars of their respective sports swap punches, not kicks or chokes, on August 26 in Las Vegas. Mayweather, aged 40 and inactive for almost two full years, will face the much younger McGregor in what will be Floyd’s 50th pro fight; McGregor will be boxing his debut! But, quite astonishingly, McGregor has a great deal of support, from fans who have bet serious money on him winning, and from some experts. It’s largely MMA experts who are backing the Irishman to pull off the monster upset, so that tells you something. But McGregor’s boxing coach, Owen Roddy, says that not only will his “exceptional fighter” win, he will win by KO. 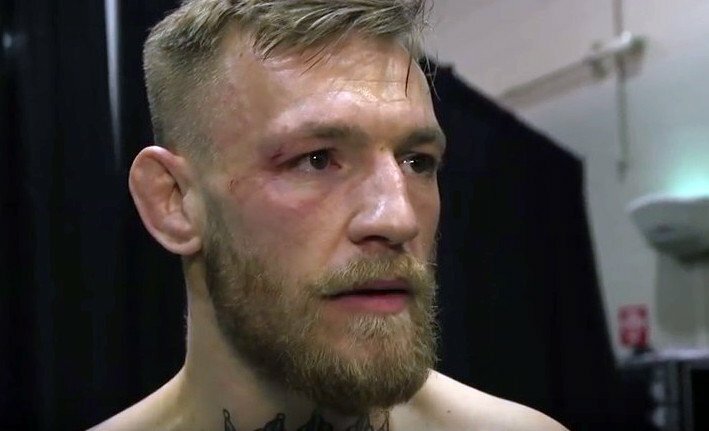 The great Jack Dempsey once said that, “you always think you’re going to win, otherwise you couldn’t fight at all.” So naturally McGregor and his team feel, believe, that the win will come next month. But will it? How shocking would it be if McGregor did somehow manage to pull it off? This year has already seen a huge upset that, even if it wasn’t quite up there with Douglas-Tyson, was a jaw-dropper all the same – the Jeff Horn-Manny Pacquiao fight. Could 2017 go down as the year of the upset? McGregor beating Mayweather; in any possible manner, would be a result that would go all way around the world; garnering front page headlines in many countries and almost certainly causing the internet to explode. But if – and never forget it’s a huge, huge if – Mayweather did lose for the first time, to a novice boxer, how would it affect the 49-0 master’s legacy? Floyd as we know, calls himself TBE, The Best Ever – could he possibly utter such a thing with a loss to McGregor attached to his record? Who are the fans, from both sports, rooting for in August’s big fight? Do people from both a boxing background and an MMA background want to see Mayweather humbled by defeat? In all probability, Mayweather will completely school McGregor before winning either by stoppage or by shut-out decision, thus making any talk of damage to his legacy utterly meaningless. But just imagine, for a minute, that Floyd, a smart, cerebral, take-no-risks fighter (for the past few years anyway) has made the biggest single mistake of his career by agreeing to tangle with the “exceptional” Conor McGregor. Where, in the biggest sporting upsets of all-time, would McGregor KO Mayweather rank!